Kris Johnson has spent the major portion of her life recreating historical costume with an anachronistic twist as well the comic book characters that captivated her. She has been a part of the cosplay community for nearly 20 years, and currently spends her holidays as a member of a small story telling troupe sharing the adventures of the Nordic gods and heroes. Kristina attended and graduated from Emily Griffith Technical College for Professional Sewing and Fashion Design before moving on Red Rocks Community College where she received her AAS is Theatre Technologies before joining their staff as an instructor. 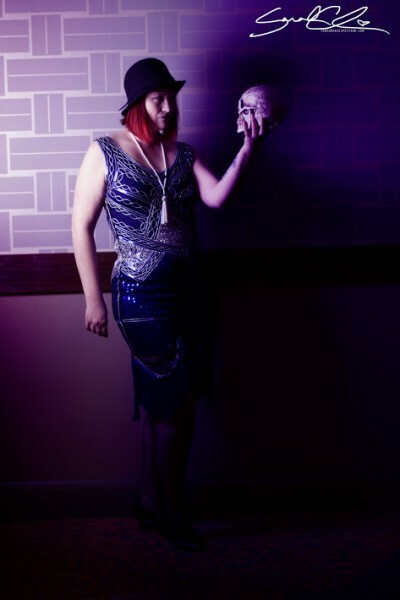 As the Resident Costume Designer and Instructor for Red Rocks Community College she shares her passion for textiles, sewing, millinery, and design with her students.